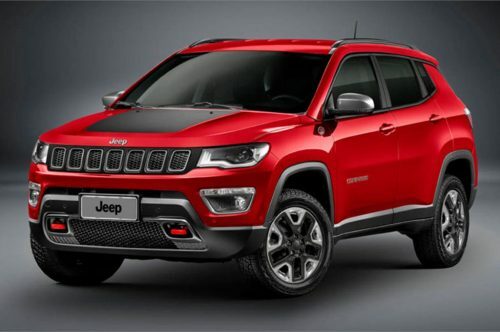 As previously reported, Jeep Compass will have a new range-topping variant before the end of this year. It comes as a part of expanding the Compass’ range by adding new variants within the next six months. The Jeep Compass Trailhawk features a variety of exterior and interior changes while becoming more off-roading biased. 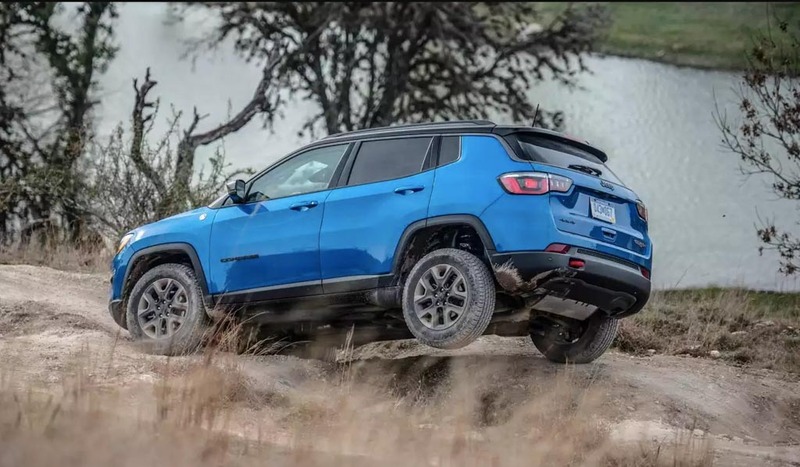 The exterior gets dual-tone paint scheme, underbody skid plate, silver ‘Trail Rated’ badge on front fenders, Trailhawk badge on boot lid, and all-terrain 225/60 R17 rubber. The front and rear bumpers are also redesigned to suit its terrain-taming character. For increased off-roading prowess, it gains 30-degree angle of approach, 24.4-degree breakover and 33.6-degree departure angles. The American SUV maker will introduce a new maker’s Active Drive low-range 4WD system and the ground clearance is increased by 20 mm. The Selec-Terrain 4WD configurations allows for a new Rock mode. As for the interior, the Jeep Compass Trailhawk boasts all weather floor mats and Hill Descent Control is offered as standard. The Jeep Compass Trailhawk measures 4,398 mm in length, 2,033 mm in width and 1,529 mm in height with maximum water wading depth of 482.6 mm. Other notable features are an all-black leather seats with ‘Trailhawk’ badging, contrast red accents on the dash, Panoramic sunroof, six airbags, dual-zone automatic air conditioning system, cruise control, seven-inch UConnect infotainment system with Android Auto and Apple CarPlay, etc. The upcoming variant uses the same 2.0-litre diesel engine producing a maximum power output of 170 hp and 350 Nm of peak torque. But, the biggest inclusion is the arrival of a brand new nine-speed automatic transmission that will ensure an edge over rivals. The Trailhawk could be priced at around Rs. 25 lakh (ex-showroom, New Delhi) in the Indian market when it goes on sale.